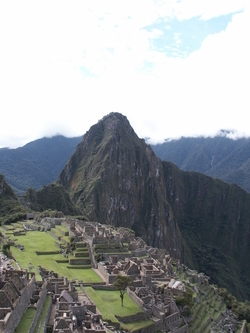 Join Adventure Café for an amazing trip to the famous sights of the Inca Empire including some less well known spots. We have time to acclimatise, and get ready for an amazing exploration of this incredible area. Including a 4 day trek and additional acclimatisation day along the well restored and carefully preserved Inca Trail, leading you along the valleys, around and across the mountains, through the cloud forest reaching the Sungate for the classic photo before culminating at the ruins of Machu Picchu Mountain themselves... This trip takes you to the heart of the ancient Inca Empire—to Cuzco, the regional Adventure Capital, and then on to the Sacred Valley, the surrounding extensive ruins, and culminates in the incredible Machu Picchu at the top if the Inca Trail. This itinerary has been designed to maximise your time in Peru, crammed to the limit it pulls together the most amazing experiences, and is a trip you will never forget! DAY 2: Onwards internal flight to Cusco. Meet at airport for transfer to Hotel. Optional tour to Cusco Market or San Blas. Day 3.- After breakfast transfer to Tambomachay, 3-4 Hrs acclimatization soft walk, Picnic lunch. Night in Cusco Hotel. Day 4. Sacred Valley tour: Explore Ollantaytambo, ride to Pisac, Urubamba for Lunch, Yucay, Night in Ollantaytambo. 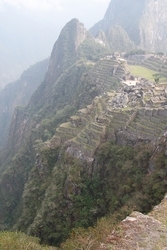 Day 8.- Arrive to Machu Picchu. Guided tour time to explore. Night in Aguas Calientes. Day 9.- Train return at 08:45am to Ollantaytambo Private transport to Cusco Hotel. Day 10.- Transfer to Cusco Airport or Bus Terminal. You will need to make your own arrangements for any international and domestic flights, transfers and accomodation prior to meeting at Cusco airport. Occasionally, it may not be possible to follow the itinerary as planned. This may be for a variety of reasons – climatic, political, physical or other. In these circumstances we will make the best alternative arrangements possible that maintains the integrity of the original itinerary, you will be advised as soon as possible to this effect. You will stay in tourist category accommodation whilst in towns. On trek we will be using tents. In all accommodation you will be sharing with someone of the same gender to yourself (unless you have booked as a couple). Your accommodation is always selected in order to be clean and comfortable. Usually you will have en-suite facilities—if they are available where you are stopping for the night. You may have single accommodation where available at a supplement. Please request at time of booking. You will need to bring your own sleeping bag and thermal mattress although you can hire from Adventure Cafe if required. 3 Nights in Cusco Hotel with breakfast. Expedition Train Tickets, buses tickets Bus down to Aguas Calientes. 1 Night in Hostel in Aguas Calientes Hotel. 1 Night in Ollantaytambo Hotel. Cusco City guided soft walk. Entry pass for Cusco and Sacred Valley Tour US$60 per person. To pay directly. Lunch on arrival day into Cusco and upon arrival back into Cusco after trek. Normal weather for Cusco, and the surrounding area depends heavily upon the altitude. Typical temperature range for Cusco fluctuates at night from +2 or 3 degrees, up to 18 or 20 during the daytime. There is also a moderate wet season inland from December until April. The Best time of year to visit is from June to October, when you can enjoy brilliant sunshine from very early in the day in Cusco.